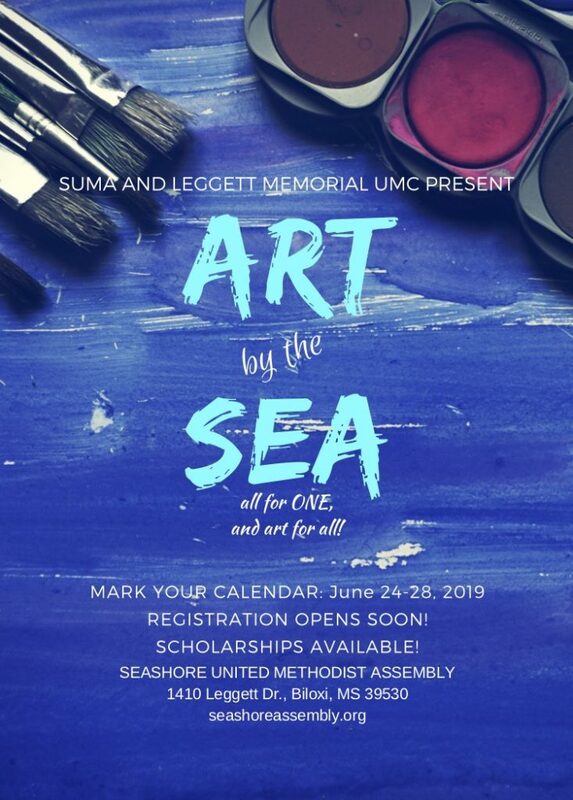 ART BY THE SEA is a day camp for children and teens. Our goal is to create Christian unity in a diverse community through fun and art education. SCHOLARSHIPS ARE AVAILABLE! Call Rev. Bess Perrier at (601)831-4312 or Michael Hedgepeth at (228)436-6767 for more information. Registration opens soon. Check back to reserve your child’s spot because space is limited! Rising 3rd graders-rising 9th graders. This camp is held at Leggett Memorial UMC, a church that has worked hard to make their building and this program accessible to people of all abilities. Children with special needs are welcome! This camp is funded by Leggett Memorial UMC and a grant from the MS UMC Office of Connectional Ministry.